After using ASTRO Gaming‘s MixAmp Pro TR at events for three years, Call of Duty World League has expanded its partnership with the company by making it the “official complete audio solution” for the 2019 season. The ASTRO TR Main Stage Audio System is described as a “design-focused solution” and will be used at all CWL events over the course of the following year. The system is comprised of three components: an ASTRO A40 TR headset, a MixAmp Pro TR with tournament-focused settings, and an in-ear monitor to help with noise cancellation from the crowd. On December 5th, the Call of Duty World League was announced as a partner of Mountain Dew alongside the prospective launch of its new beverage, Mountain Dew AMP Game Fuel. Back in November, Activision Blizzard announced ASUS Republic of Gamers (ROG) as the official monitor partner of its Call of Duty league. This news comes just a day before the inaugural event of the Black Ops 4 season, CWL Las Vegas, kicks off. Running from December 7-9th, it’s the first Call of Duty tournament to utilise a 5v5 team format and will dish out a total of $250,000 in prize winnings. In September, ASTRO Gaming became the audio partner of the Gears of War Pro Circuit, meaning players compete at events in the circuit will be provided with headsets. Esports Insider says: ASTRO Gaming has been a mainstay in console esports for many, many years so it’s not too surprising to see it maintain its position within the CWL. It’s cool to see that the two parties have come together to devise a better experience for both players and spectators. 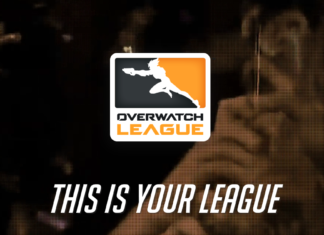 Will The Overwatch League be a path to glory?